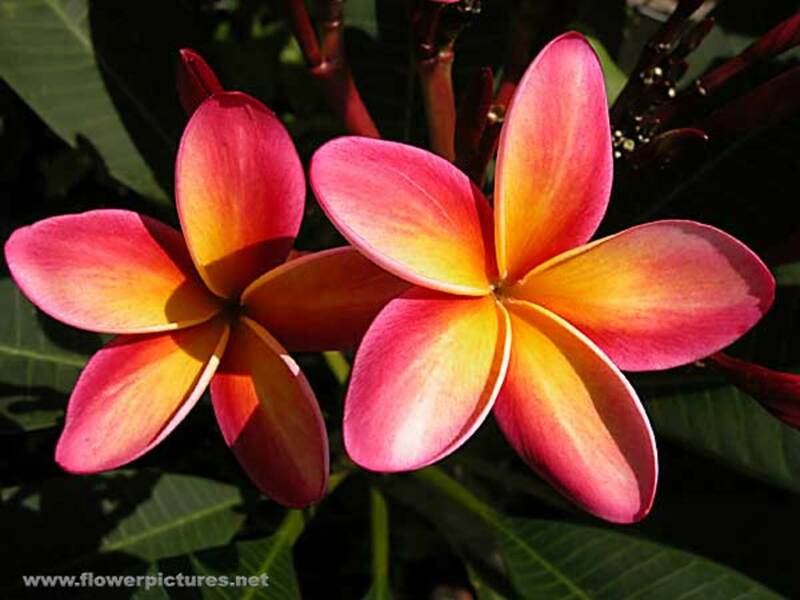 Gary has lived in Las Vegas and Orange County, California as well as in Oregon. He has traveled and written about the West and London. Las Vegas has more going for it than against it, as a place to live, prosper, and retire. Whether or not you take advantage of the world-famous Las Vegas Strip, you will always be able to find fun things to do in the city. It is a clean and low-crime city. It has wide boulevards. And you can escape some of the heat by living up in the west area where most of the planned communities are. Crime and weather are often cited as disadvantages of living in Las Vegas. As a resident of this city, I beg to differ. Enjoy my views of this great place, as well as the videos giving you a glimpse into regular Las Vegas life in and near my neighborhood, west of the Las Vegas Strip. 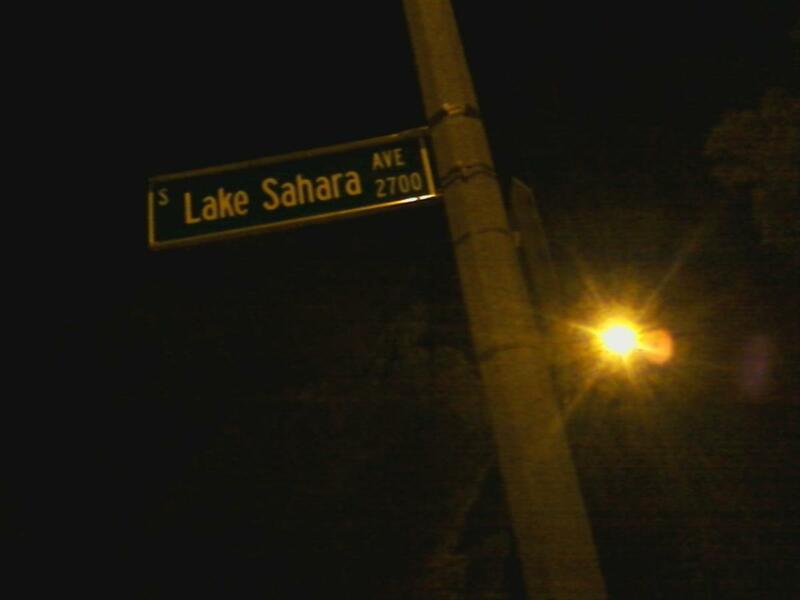 There is a Lake Sahara! And it is in Las Vegas! 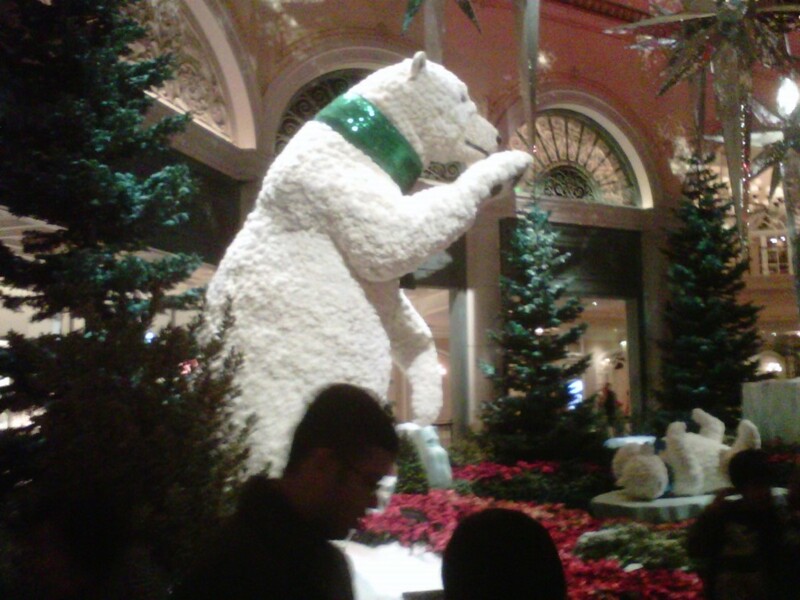 Las Vegas has great weather with hot, dry summers and mild, sunny winters. The average temperature in summer is near 105, but the humidity is low. Another secret is that you can escape the hottest weather by moving to one of the planned communities that are above the floor of the valley and that have lots of trees, including pine trees. A couple of planned communities even have lakes. These are green places, folks. This is not common knowledge, except to those who live here! 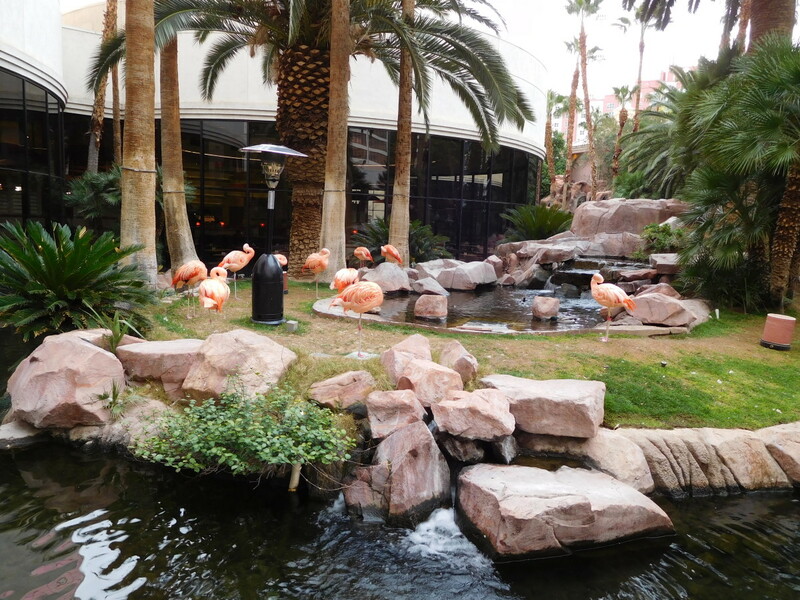 The recommended escapes from the most intense heat are the Lakes (home of Lake Sahara), Desert Shores (four beautiful lakes in the complex), beautiful Peccole Ranch, and Summerlin. Summerlin is the largest of these planned communities, with 35 square miles of villages, shopping, and office space, plus the beautiful Red Rock Casino. It forms much of the western border of the city. When you consider that San Francisco has 49 square miles, Summerlin is big, and has great desert ambiance with great landscaping everywhere. Summerlin can see temperatures as much as 9 degrees cooler than the Strip in summer. That is significant. And the area cools down at night much more quickly than the Strip. This is not to say that Henderson or Lake Las Vegas are not pretty places in the greater Las Vegas area. It is just that there is more heat there. There are some areas close to downtown and in the very north that have higher crime statistics, yet crime in the city is not as serious as most are led to believe. Prostitution is illegal in the city limits. The forty million visitors skew the crime statistics, as there are only two million people in greater Las Vegas. Crime density is far less than in crowded cities like New York City. Eight million people live in Manhattan Island's 23 square miles. 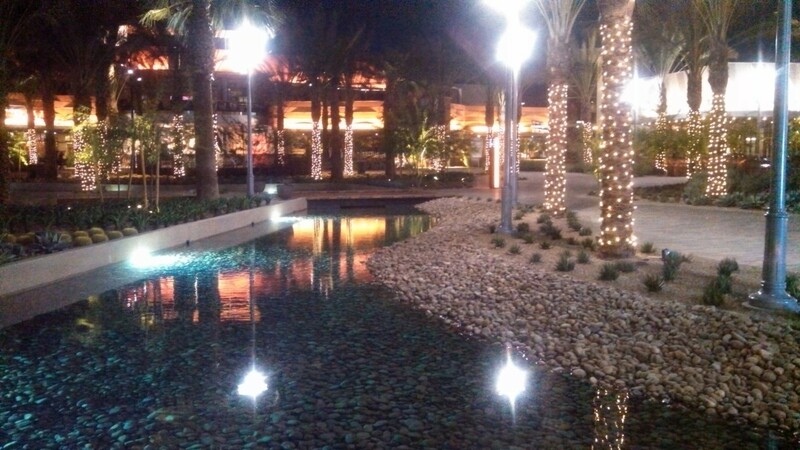 Summerlin alone is 35 square miles, with only 100,000 people. All of Las Vegas, just under 2 million people, takes up 135 square miles. I talked to a guy who had lived in New York City, Brooklyn to be exact, and he said Las Vegas was clean and crime-free compared to Brooklyn. Las Vegas was his favorite place other than San Diego, where he felt prices for housing were just too high. Lake Sahara in the Lakes Planned Community. Without a business, retirement income, or special skills you know are in demand, you may face a challenge in Las Vegas, because of the unemployment that is weighing on the city. However, that situation has improved quite a bit since 2008. Homeless folks with psychological problems gravitate to warmer climates to keep from freezing in the winter. This is a fact of life in some poor areas of the city, but it is not a major source of crime. Most of these people are not criminals. Once in awhile you see the sad loner as you would in any city, and it is heartbreaking. But for the most part you do not see homeless in the suburbs, which are like most suburbs with their busy and active lifestyles. So, please, if you want stability, come to Las Vegas with a plan. You need a plan above all things! Investing $350 million of his own money on a vision. Fun at the Encore, near the Sinatra Restaurant. 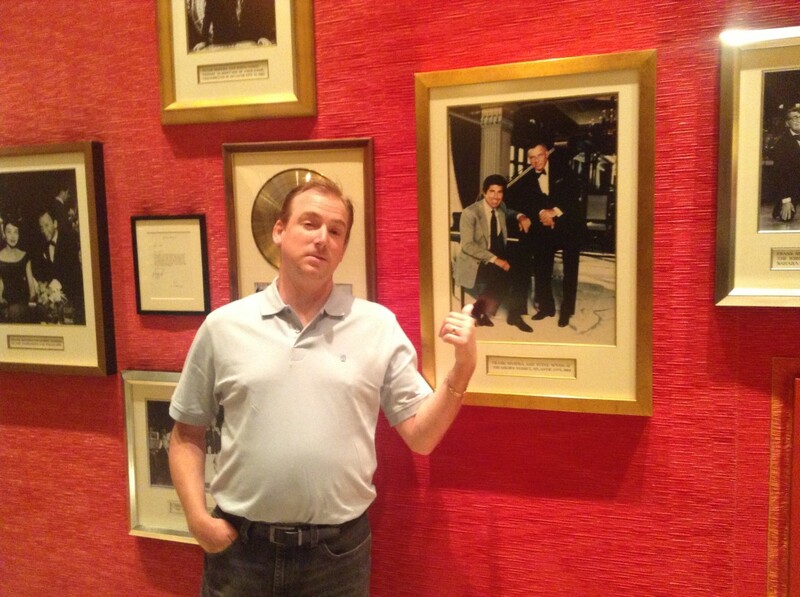 My son-in-law having fun with pictured tough-guy characters Steve Wynn and Frank Sinatra. My discussion here of these issues is based upon my observations and health since moving here. I view Las Vegas as a very healthy place to live. That is my opinion only and may not be true for all people. Las Vegas has a temperature range similar to the San Joaquin Valley, but the similarities end there. In the San Joaquin Valley, agriculture and pollution often result in a blood-red moon rising. In Las Vegas, the air is clear, and there are enough breezes to keep it clean.The moon is bright and beautiful, meaning better air quality. There is no farming, so windborne spores of valley fever ("desert fever") from blowing soil are not an issue for the vast majority of people. 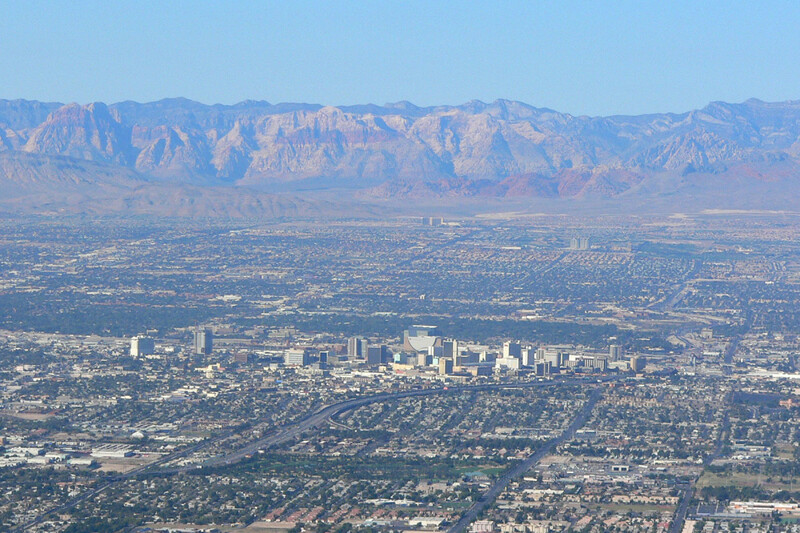 The elevation of the strip and the land west of the strip are above 2000 feet, good for fighting valley fever spores. There is none of the winter fog that you see in the San Joaquin Valley. The mornings are milder in the fall, spring and winter than in the San Joaquin Valley, more like temperatures you see on the California coast. Again, because of the elevation, the air in Las Vegas feels much less "stuffy" than in say, Palm Springs, which is at or below sea level. Restaurants and shopping are a pro. You can find a plethora of restaurants, both on the Strip and off, along with upscale shopping both on the Strip and in Summerlin on Rampart Boulevard. The design of Las Vegas is a pro. 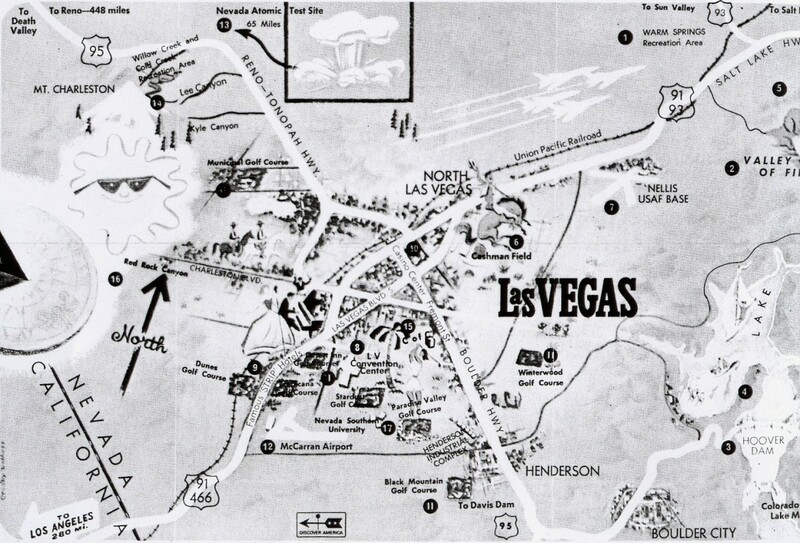 Las Vegas is shaped as a grid, with big and wide boulevards, with right angles and ease of navigation. You can learn your way around this town in a week, except for certain navigations through the strip itself. Compared to Los Angeles, driving is much less difficult. A con of Las Vegas living is that some fall prey to the habit of gambling. Although the cost of living is low—gas is cheap, and rent and home prices are reasonable—the money you save can be wiped out by a serious gambling habit. Master-planned community with wide-open spaces for exploring and quiet, intimate villages for living. Amazing pictures: nature as well as neon. Very funny stories about folks who are unfamiliar with laws against prostitution. Summerlin is definitely going to give you a small respite from heat. I don't want to sugar coat it but you are off the Strip by 800 feet. Also, cost of living is a concern, but it is not as high as Denver. Best wishes to you. Remember, Teresa, it is a dry heat. Great article! I am heavily considering moving to Vegas myself after I graduate and will be working in healthcare. It is very hard to find honest and non biased feedback as I've been researching for months now. One reason I'm considering this move is the pay rate for my field as Vegas is the highest paying city. Cost of living is of course a huge concern as well as the weather. I'm in Colorado currently and it seems like a drastic climate change but I wouldn't let that be my deciding factor. Any other feedback as far as job opportunities? I will have a degree and be licensed as an occupational therapy assistant which I believe will ensure some job security almost anywhere I go. I will definitely look at the number of hospitals there as well as rehabilitation centers. Seems like Summerlin is a wonderful community to look into as well. A home with a pool sounds lovely! Thank you for an informative article. Hi, thanks for the article! I am looking to relocate Jan 17. I have a 4.5 yr old son and am curious of raising a family in the Henderson area. My job would be closely located in the southeast part of Vegas, and I've heard Green Valley is a great area. I have a job offer that pays more than I make here, but my husband may come out without a job. Based on cost of living, what is a realistic amount needed to live considering family, desire to buy a home and enjoyment of a modest amount of entertainment? Thanks much! Glad you enjoyed it. If the Midwest is home, I understand, but enjoy the mild winter here! Great article. I still miss the Midwest, even after 8 years, but I enjoyed reading this. Great hub. Love articles like this that show the real "local side" of the Vegas Valley! Well, you would want to live in the Northwest of Las Vegas, but make sure you are in an area of proper water containment to avoid flooding. That area has experienced flooding in the past. But house communities like Providence seem interesting to me. There are rental properties everywhere, including around Summerlin. The commute is far from Summerlin and the airport, so I would recommend the hills of Henderson, around Seven Hills and perhaps as high as Anthem if you want to get way up into the hills. This is likely a closer commute, unless you plan to use the freeway. Time the freeway based on whether you are doing rush hour or not. It could make a difference. Best wishes for your life in Las Vegas! I found your hub article very helpful. 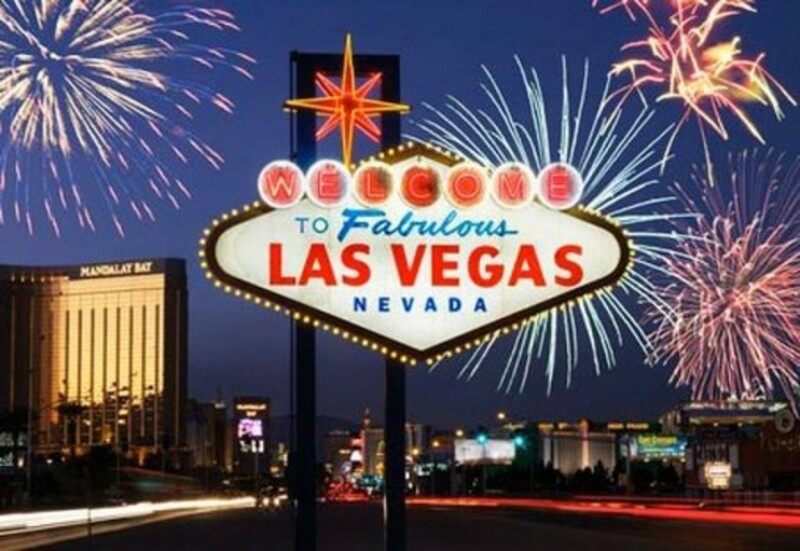 I will be moving to Las Vegas Jan of 2014 due to a job relocation. I will be leaving my family behind for about 6 months until my son graduates high school and starts college here in Florida. Are there rental properties in the area around Summerlin? Our plan is for me to rent until my wife joins me out there, then we are looking to buy a town home or condo in a hilly or elevated area of Las Vegas. Also I will be working over in the area just east of the airport. What will the commute be like between Summerlin and the airport? Your welcome. Also consider Southern Highlands. Thanks again for the suggestions. We'll keep those places in mind. Yes, I think you should consider Anthem, Seven Hills, Summerlin, the Lakes, Desert Shores, Peccole Ranch, which will allow you to capture some beauty that you will miss from Maui. 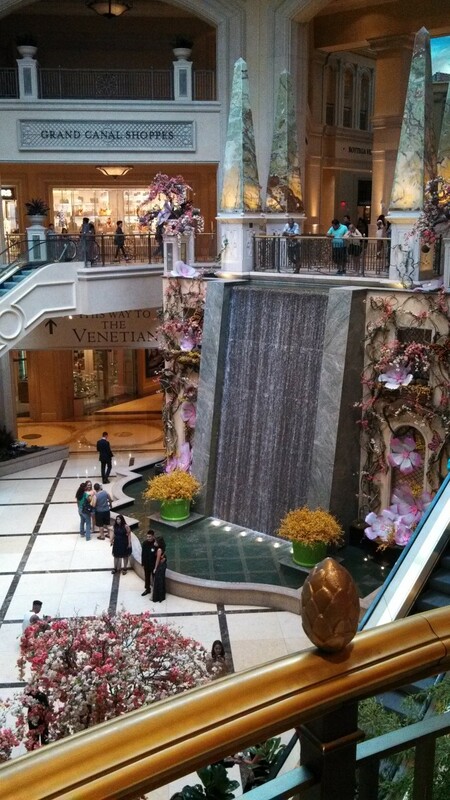 They are pretty places in Las Vegas. Thanks so very much for sharing! My husband is looking into moving to Las Vegas for work (where he has been offered way more than what he makes currently), but I have been hesitant because we live in beautiful Maui with our two teenage sons, and I felt that I could not possibly take the big city lifestlye. After going through this website, I think I will reconsider my options, since the cost of living is extremely high and buying a piece of property in Hawaii is out of reach for us, even though we are both skilled professionals. I think Las Vegas just might be the place for us, like it has been for some of our friends who have already moved there and love it. Thanks for the advice. People should consider leaving the strip if they have enough time to do so. I have been to LasVegas numerous times and I really love it. I think to enjoy the experience completely, people should consider leaving the strip and exploring the rest of Nevada which is beautiful. Great article! Thanks for sharing. I like this well written hub. Great work! 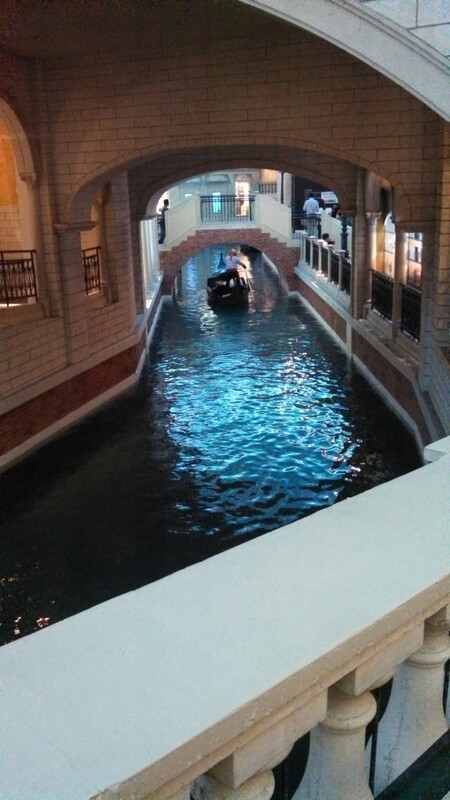 I have been to Las Vegas Nevada numerous times and it is one of my favorite places to visit. 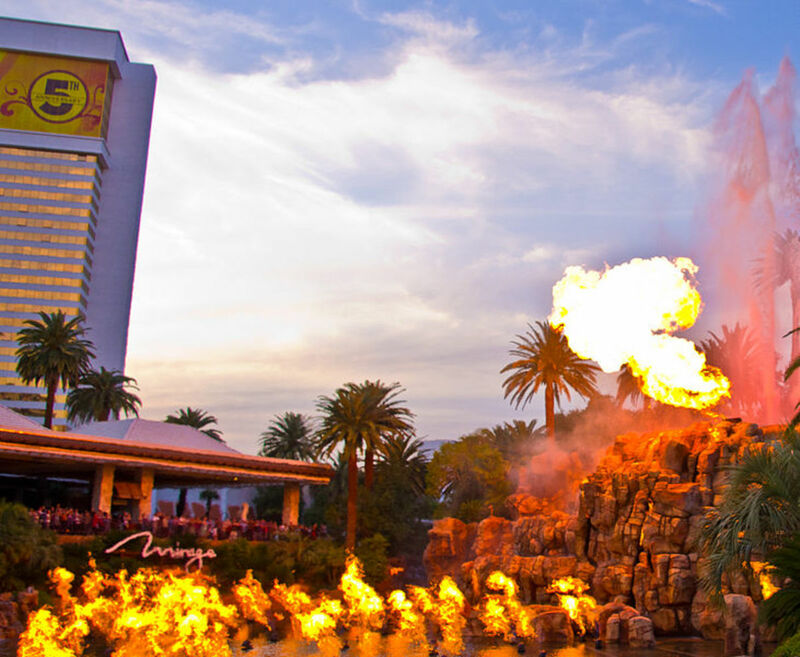 The strip is amazing, of course, with all of the themed hotels and incredible dining and shopping experiences. However, I enjoy all the wonderful things to see and do outside of the Las Vegas strip. The problem is that most people stay on the strip and never experience the rest of Nevada and its beauty. Great article! Thanks for sharing. Well, it is more live and let live. But there are many other reasons for wanting to live here. Thanks for posting. I LOVE LAs VEGAS it gives me freedom to feel like a TRUE ADult unlike OTHER CITIES! Hi Amber, that is true. There are a lot more things that most don't ever see. I like that this article dispels some of the myths about Vegas. There's definitely more to the city than the strip!